The Oakridge Middle School embodies the philosophy of The Oakridge School. By providing a challenging educational program with emphasis on the total development of each child, the Middle School prepares students for higher education and life. We, as faculty and administrators, believe in academic excellence, high moral and ethical standards, honor, respect of others, and the pursuit of knowledge as a life-long experience. The Middle School at Oakridge is divided into two separate divisions. The lower house (LHMS) consists of grades five and six, and grades seven and eight comprise the upper house (UHMS). 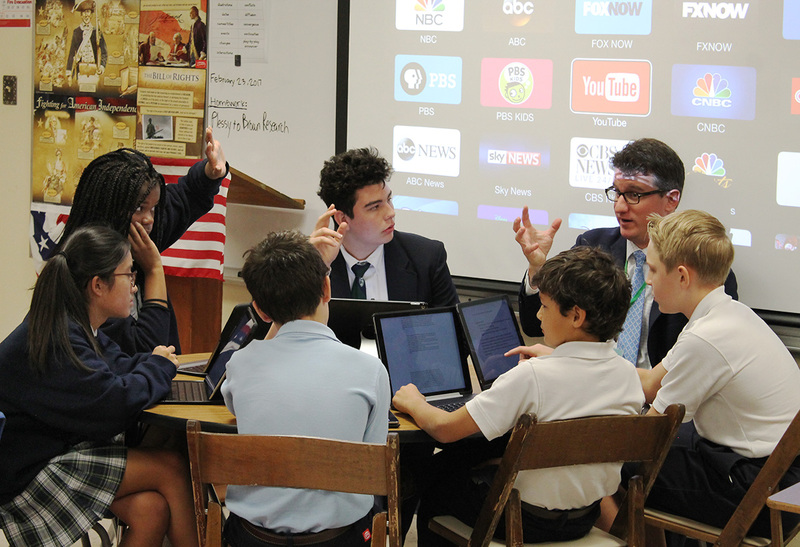 Each division of the middle school has its own faculty, programs, and curriculum. 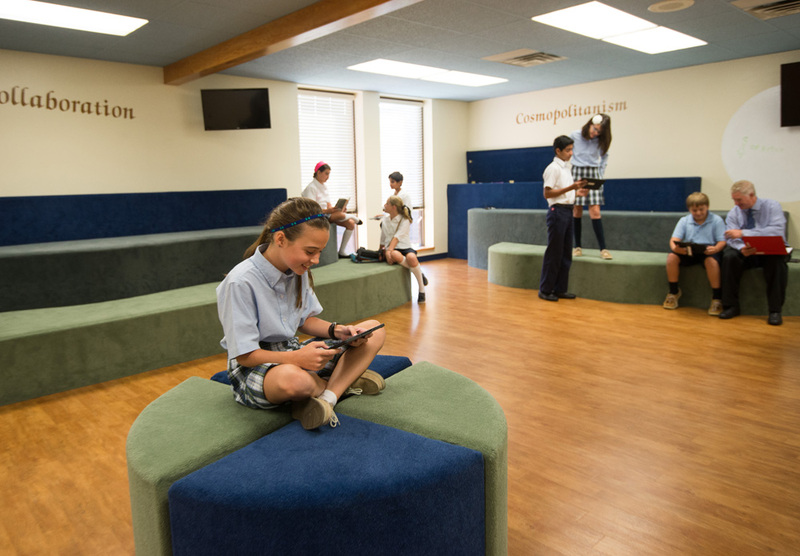 The Middle School curriculum, in both the lower and the upper houses, provides sound instruction in all academic disciplines, exploration of the fine arts, and a strong physical education and athletic program. Specifically, students in the LHMS are required to study Language Arts, Fine Arts, Math, General and Earth Science, World Geography, World History, Foreign Language (French or Spanish), and Physical Education. 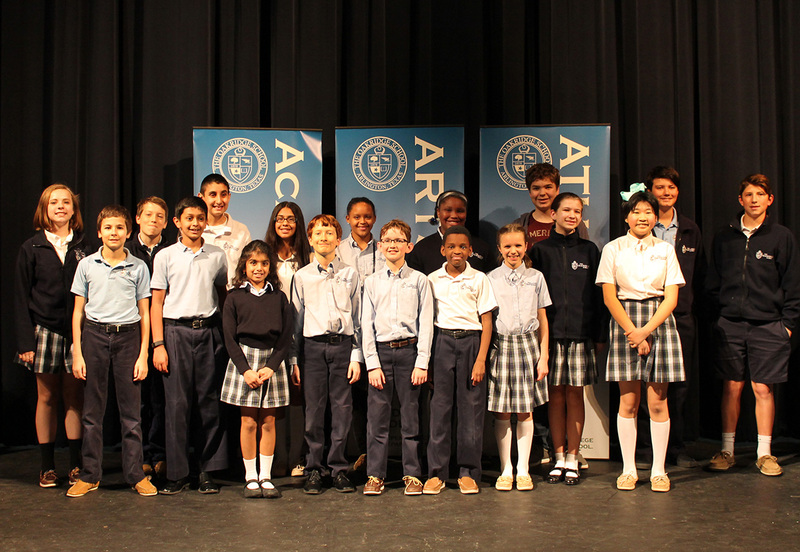 The fine arts program in the fifth grade consists of nine weeks each of choir, art, drama and strings. In sixth grade, students take Latin and also begin to focus their fine arts study by choosing one of the arts each semester. The UHMS curriculum includes: English, Honors English, Capstone, Pre-Algebra, Honors Pre-Algebra, Algebra I, Honors Algebra I, Honors Geometry, Life and Physical Science, United States and Modern History, Foreign Language (French or Spanish), Choir, Art, Drama, and Strings, as well as competitive Athletics. The Middle School's college preparatory program is challenging and structured yet always centered on nurturing the whole child. Our program is designed to help young people develop intellectually, physically, socially, artisically, and emotionally. The Learn21 program demonstrates our continued commitment to offer the best learning environment for our students. Students in grades 5-8 are already utilizing their devices to guarantee daily opportunities to connect, communicate, collaborate, and create. These results are evidence that the classrooms are innovative spaces where we enhance, engage, and empower student learning.